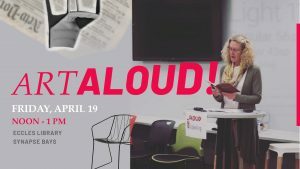 Art Aloud! 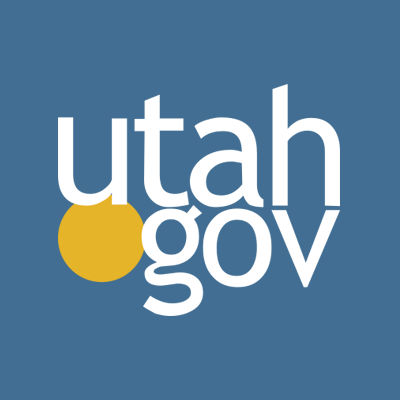 is a spoken word art cafe where you can relax in a casual atmosphere among friends, and sign up for a place at the mic. Join us for an hour of expression, fun and even some food! 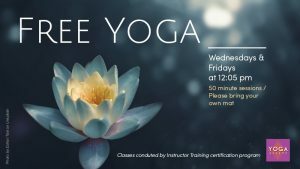 Join us for free yoga on Wednesday and Friday 12:05 pm – 1:05 pm at the Eccles Library. Please bring your own mats if possible. Three are available at the front desk for check-out, first come. 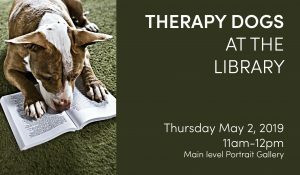 Therapy dogs are coming to the library Thursday May 2!